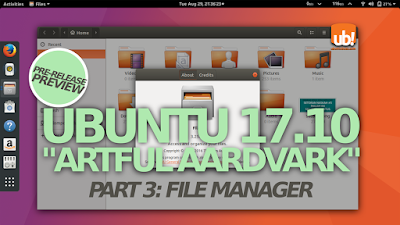 Here, I show you some screenshots and GIF animations for the Nautilus File Manager 3.25 at Ubuntu 17.10 "Artful Aardvark". 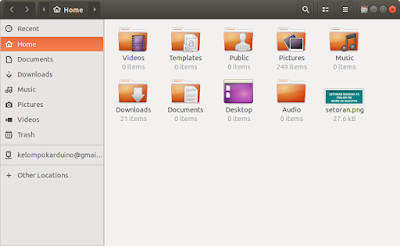 Because the switch from Unity to GNOME, Ubuntu now has some different looks-and-feels when you operate its file manager. So, it's time to see how much it differs. Artful will be released at October 2017 and this article is a preview based on its development version. You can read Part 1 here and Part 2 here. Enjoy! Here's the default appearance of the file manager. 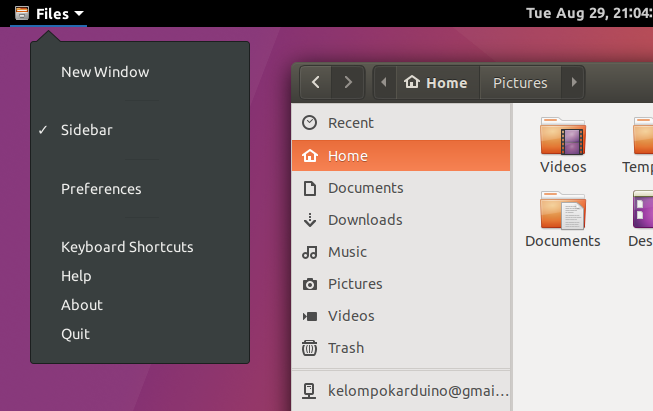 Notice that huge title bar, position of control button (right), and where tool bar becomes one with title bar. 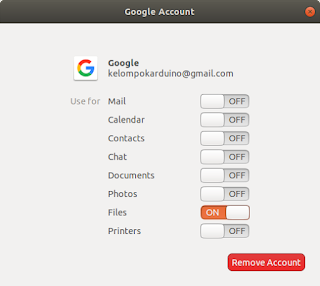 The appearance of the title bar has changed on 17.10. 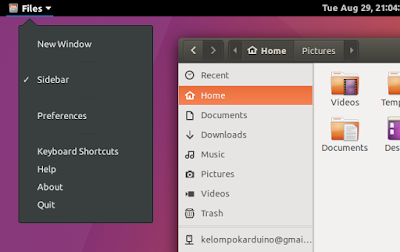 And, you find the menu (Preferences, Help, About buttons) separately at desktop top bar under the name "Files". To switch view modes, you have only a single button now, leaving behind the old double button. This one is the best! Now, you sort files from the "menu" button (the one with triple lines) either A-Z/Z-A (sort by name) or Last/First Modified (sort by date). The great thing is you just need less click now! The search button is now on the title bar, not on the tool bar anymore. Of course, you can still use Ctrl+F instead of clicking it. However, you'll like how fast the searching is. This is an old feature but it's cool, you can easily access your Google Drive and save your files or there. But of course, you log in to Google using the GNOME Online Accounts program from the system. 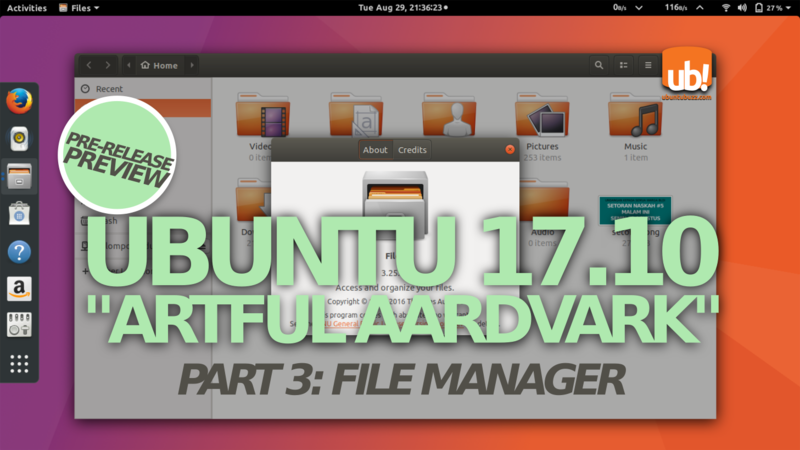 Switch the "Files" option ON and have it on the file manager!